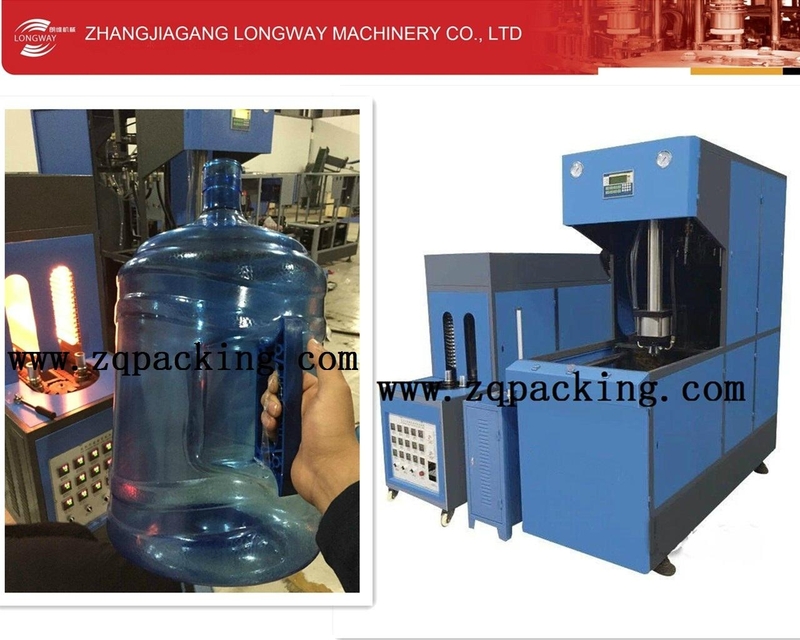 ZQ-12B series blow molding machine is especially used to produce 3 gallon and 5 gallon bottles and is widely used to produce any shape of plastic from PET with neck finishes from 15mm-200mm. ● Perfect function with economic investment. ● Small size and compact construction with no space waste. ● Easy to operate and maintain ,operation by one person . ● Saving power and uneasy to worn out ,Adopting new double crank four bars to lock mould, the cross fixed. Providing high pressure blowing system. ● We can provide performs and various bottle& cap molds for 5 gallon and 3gallon bottles to meet customer’s requirements.